This well presented Coach House is situated in a quiet cul de sac near Osborne Park, just off Newton Abbot town centre, close to primary schools, shopping and recreational facilities, bus services, leisure centres, together with the railway station to London Paddington, with good links to nearby towns, villages and cities. 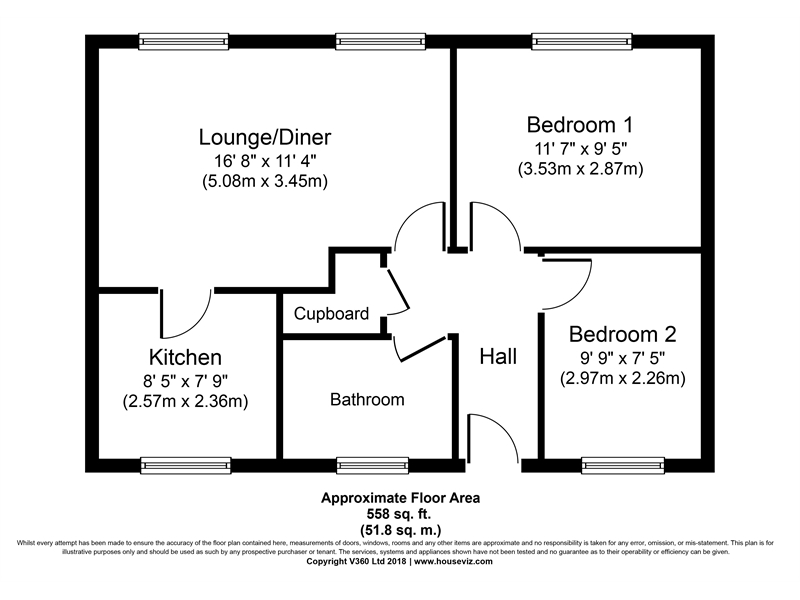 The accommodation internally comprises hallway, open plan lounge/diner, 2 bedrooms, kitchen and bathroom. Further benefits include uPVC double glazing, gas central heating, patio garden, useful bin store area, garage, driveway, additional allocated parking space over the road, and nearby river walks. Ideal for first time buyers/investment property. Viewing is recommended. These particulars have been prepared with care and every endeavour has been made to describe the property fairly and accurately although this cannot be guaranteed. They do not constitute part or all of an offer or contract. The measurements are supplied for guidance purposes only and prospective purchasers are advised to double check them before incurring any expense which is reliant upon their accuracy. We have not tested any apparatus, equipment, fixtures, fittings or services and purchasers must satisfy themselves as to their working condition. Further the Agents have not sought to verify legal title of the property and purchasers must obtain the relevant information from their Solicitors. Under the Money Laundering Regulations purchasers will at a later stage be asked to provide identification documents. In order to make sure there is no delay in agreeing a sale, we would ask for cooperation. Sample Mills & Co Ltd. is an appointed representative of Andrew Kench, an Independent Financial Adviser with Abbot Mortgage Solutions, which is authorised and regulated by the Financial Conduct Authority. © 2019 Sample Mills. All rights reserved.